You canâ€™t visit the Pacific Northwest without noticing the many and varied evergreen trees there. 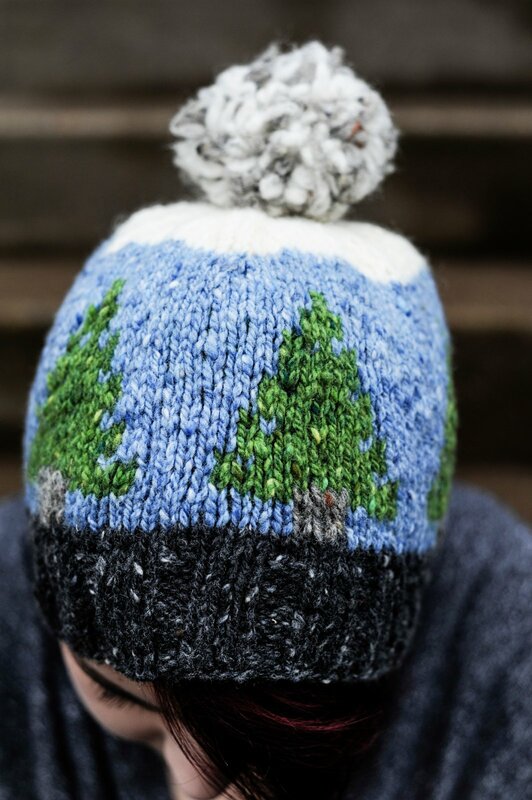 I chose to pay homage to them with this Lodgepole Pine hat. Then I topped it off with some blue sky, white clouds (or snow if you want! ), and a whimsical pom pom. To alter the size: Adjust your gauge to increase or decrease the circumference of the hat as needed.